Oni Press was one of the many publishers and studios which popped up in the late19 90s after the success of Dark Horse and Image. Oni’s stable of titles, such as Scott Pilgrim, Queen and Country, and Courtney Crumrin, keep the publisher in the spotlight while many of its contemporaries have faded away. Their current ongoing success is Antony Johnston and Christopher Mitten’s Wasteland series, which is nearing the fifty-issue mark, an impressive record for any non-licensed title from an independent publisher. 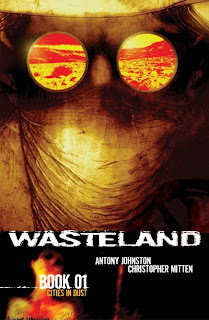 As the title implies, Wasteland takes place in a post-apocalyptic world, in this case one ruined by a mysterious event called the “Big Wet." In general, post-apocalyptic is not one of my favorite genres. I find that they end up torturing the main characters for the audience’s amusement. When it comes to comics, I’m in the camp where I want to watch Venom punch the Hulk while making Saturday Night Live references. (Yes, that comic exists.) Johnston does a great job of actually keeping the plot moving while presenting dangers to his band of travelers. The main journey is interwoven with the politics of Newbegin, one of the few remaining cities -- a location that isn’t even reached until the final pages of the first book, Cities in Dust. The description on the back cover mentions the mysterious drifter Michael and the powers he wields, but these facets are actually in the background for much of this volume. Instead, the story focuses on Abi, the sheriff of the tiny settlement of Providens [sic]. Abi’s strength and leadership as her people endure numerous hardships keeps a spark of optimism running through Wasteland. Helping her along are her friend/possible lover/professional disagreer Jake, wise old storekeeper Doc, and Golden Voice, a preacher of a new religion based on the Sun and Moon. The aforementioned Michael keeps trying to escape from Providens, and he can always be counted to speak his mind bluntly. What really impresses me about Wasteland is the world-building. It’s clear that Johnston and Mitten have a full narrative planned out, but we only get to see bits and pieces of this new world as we come across them. Golden Voice, for instance, is introduced a few issues before he retells the creation story of the Sunners. Shortly thereafter, a major theme of religious intolerance is introduced as the Lord Founder of Newbegin plans to force the Sunner slaves to worship him. Existing alongside all of this are the Sand-Eaters, a mysterious and savage species who bring death wherever they go. It’s not clear whether the Sand-Eaters are mutated people or another species entirely; they speak a strange variation of English, but their bite causes terrible wounds. I’m very interested to see where Johnston is planning to go with them. Language is another key factor in showcasing this world. What we would call “our” written English is a lost language, readable only by a knowledgeable few. The language spoken by the characters has odd verb tenses, with the suffix “-age” added on to words (such as “drivage” instead of “driving”). As the name “Providens” implies, their written language has degraded from ours. 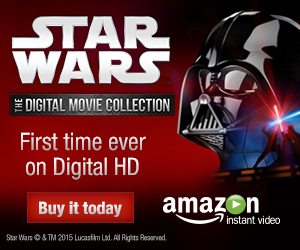 It’s indicative of a world that used to be like today, but has undergone a horrible change for the worse. The one sticking point is that the "f-word" and "s-word" have both survived the apocalypse and have become key vocabulary words throughout the cast. I don’t think cursing should be banned in comics, but I think it would have been better had they invented a new word to replace modern curses. On the other hand, a newly-minted curse word could end up sounding silly with overuse, such as Battlestar Galactica’s constant use of “frak." Wasteland: Cities in Dust is the second black and white book I’m reviewing for Indie-Pendence Month, and it won’t be the last. However, it is the first book I’ve read where having it in black and white is actually beneficial. If the book were in color, much of the setting would be rendered in a variety of browns, making for dull pages. Mitten’s shading evokes the color enough without actually seeing it. My favorite example of this is again in Golden Voice’s creation myth story, told with stylized figures and shapes. It might have seemed almost goofy to see all of this colored in, but I can mentally put in the blues and yellows. One drawback is that empty backgrounds are far more noticeable in black and white, and Mitten leaves a few too many backgrounds bare, which can sometimes interfere with following the story. This is an issue which gets corrected as the book continues, though. When I was laying out the Indie-Pendence Month line-up, the spot taken by Cities in Dust was initially set aside for a book from Zenescope, makers of the fan-service-heavy Grimm Fairy Tales. I ended up being so disappointed and, quite frankly, creeped out by what I read that I decided to shuffle the order and review Wasteland Book One: Cities of Dust first. Not only does Wasteland feature a strong female lead, but it also has excellent world-building and art and a premise that has drawn me into buying more trades of the series. It helps that the book is only $11.99 and contains the equivalent of seven issues. Warren Ellis endorses it on the cover (a very awesome piece by Ben Templesmith), and I can’t argue with his assessment. I've been a huge fan of this series since it began. Great to see a little love here at Collected Editions. Good to see someone else appreciating this underrated series. Ever since Johnston went over to Marvel the publishing schedule became irregular at best (and it was a shame losing Mitten), but overall I'm looking forward to how he'll ultimately end this series.